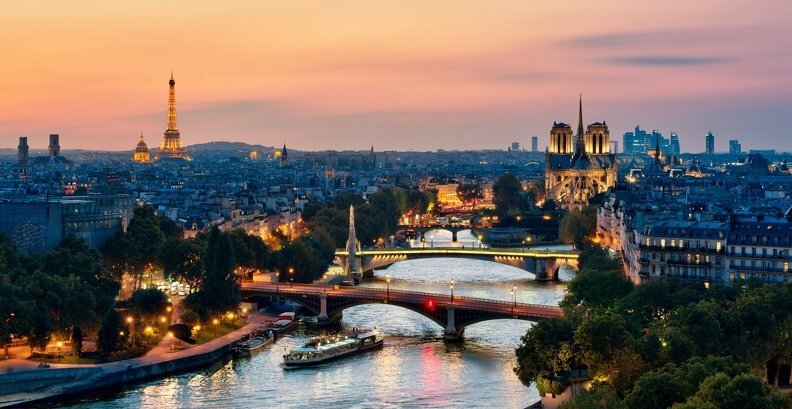 A panoramic cruise on the Seine River Paris en Scène is the only ship offering a dinner and cruise at the heart of Paris, starting on Ile de la Cité, at the foot of Pont Saint Michel, and you will not forget your time here ! Panoramic boat, elegant, offering passengers a unique view overlooking Parisian monuments, you will cruise in a new comfort class, comfortably seated in leather armchairs… From Notre Dame to Eiffel Tower, through Louvre and Grand Palais, Paris and its monuments will hold no secrets for you anymore. Thanks to Paris en Scène, enjoy an exceptional and panoramic view overlooking the River and the monuments, during one hour. The team will welcome you as soon as you set foot on board and will do its utmost for service to be exceptional during your whole meal. As for the kitchen during this special dinner and cruise, well Maitre Tateru Yoshino is in charge there, he is a Chef at Stella Maris with one star in the Michelin guide, with some signature dishes. A Chef who cannot be imitated, he recreates Escoffier or Bocuse’s classics, precise but never overdoing it, total modernity! As a couple, with your family or with colleagues, Paris en Scène is the guarantee of spending an unforgettable night. An ideal gourmet favourite!